Last morning to enjoy this incredible view! Tyler picked us up breakfast and coffee. We said goodbye to our lovely place in Imerovigli and moved on to the next town: Oia (pronounced "ee-ya"). We met up with our Airbnb host and he led the way to our place. We spent the rest of the day sailing the Mediterranean - separate post coming soon! 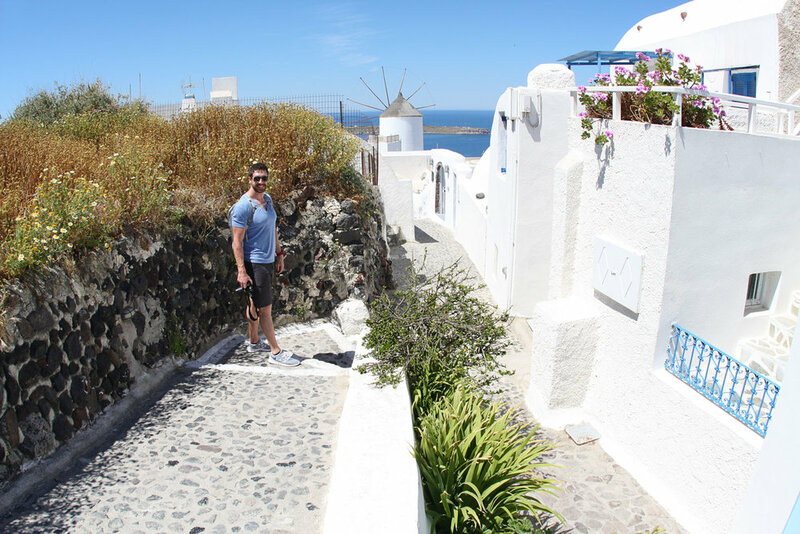 We spent the morning wandering the streets and paths of Oia. Breakfast was Greek yogurt with honey, bananas, walnuts, and red grapes. Reading things in Greek was difficult, not only because it's a different alphabet, but because the spelling of things was not always consistent. I loved how quiet and secluded this beach was. We read and relaxed, listening to the sound of the waves over the pebble sand. Eventually we got hungry, and ventured to a patio to relax with an iced coffee and some good food. One of my favorite things to do on vacation is find a patio with a good view and eat and drink. Mission accomplished. We shopped for some wine before heading back to our place and hanging out in the hot tub. 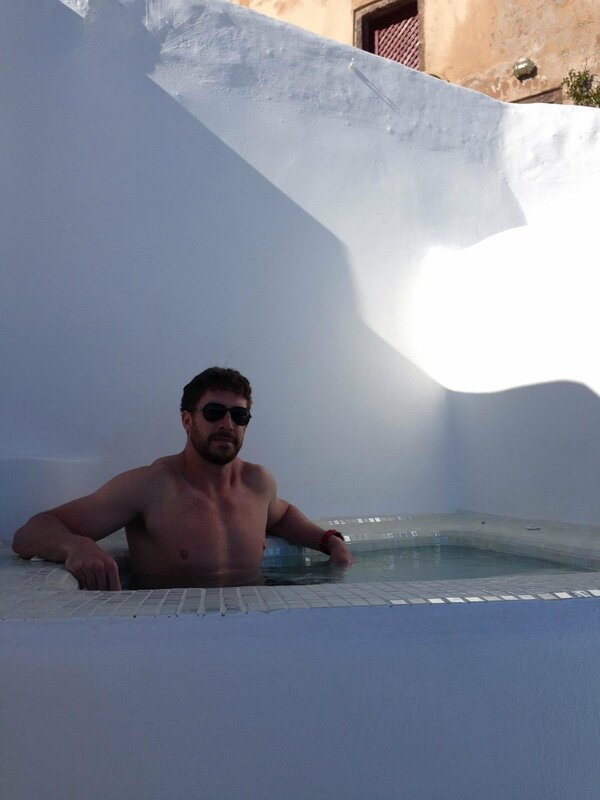 Hot tubbin' with a view. Dance party and drinks, getting ready for dinner with bae. Katharos Beach: I loved how quiet and secluded this beach was. It's rocky, not sandy, so definitely bring some shoes to walk around. A bit of a downhill hike getting there (and obviously uphill coming back!). Airbnb: Airbnb had lots of great places to choose from. We absolutely loved the place we found in Oia.